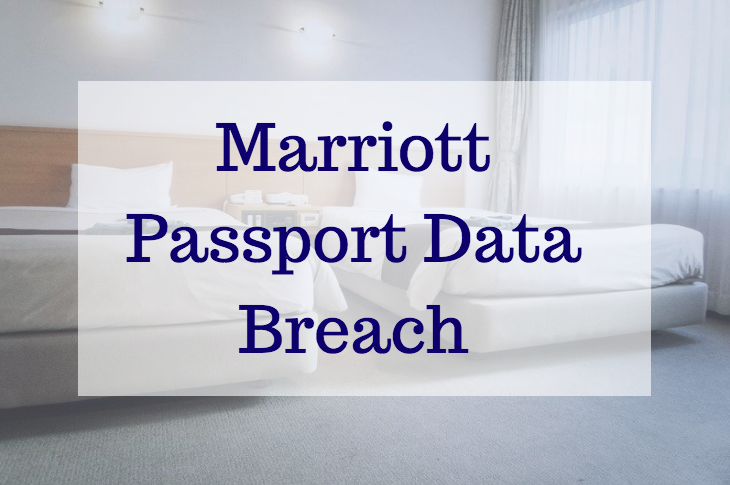 The Marriott Passport Data Breach has thousands of travelers worried about identity theft and how it impacts their passport validity. The security breach reportedly impacted over 500 million customers spanning a four year time period. The hackers gained access to data like ‘gender, birth dates, email address, mailing addresses, phone numbers, and passport numbers’. Will this impact your passport validity and future travel plans? Based on pressure from many government officials, Marriott International has agreed to pay the fees for any customers that were impacted by the security breach. The reservation system of Starwood Hotels was the primary issue for the security breach. Some of their bigger hotel brands impacted were St. Regis, Westin, Sheraton, Aloft, Le Meridien, Four Points and W Hotels. The passport numbers of millions of travelers are regularly collected by hotels throughout the world. And unfortunately, the travel industry is often behind other industries when it comes to cybersecurity. A security breach this large has far reaching implications. Fortunately, a passport number is not enough to make a credible fake passport. However, many travelers are rightly worried that their vital data has been compromised. If you think you may have been impacted by the Marriott Data Breach, you have some options. You are entitled under U.S. law to one free credit report annually from each of the three nationwide consumer reporting agencies. To order your free credit report, visit www.annualcreditreport.com or call toll-free at 1-877-322-8228. You can also contact your bank or card issuer immediately if you think your data was compromised. Starwood Hotels has also arranged with AllClear ID to offer identity protection and credit monitoring services to affected Starwood customers for one year at no cost to them. The Reference Guide provides information on registration and recommendations by the U.S. Federal Trade Commission on the protection of personal information. If you have any questions or would like more information, please call 1-855-270-9179 (U.S. and Canada) or 1-512-201-2201 (International), Monday through Saturday, 8:00 am to 8:00 pm CST. If you need passport services, you can visit your post office or county clerk for routine passport processing. Usually a passport takes 4-6 weeks or longer for processing. If you have upcoming travel and need your passport fast, we can expedite a U.S. passport as fast as 24 hours if necessary. Contact us today if you want secured, safe, and fast passport processing. Our team of trusted passport professionals will walk you through every step of the process. RushMyPassport.com can get your passport as fast as you need it.